Despite the sleek, towering skyscrapers and modern, elegant landmarks that occupy the central district of Singapore, the city is also filled with various cultural and historical sites that showcase its diverse heritage. And by heritage, we don’t just mean quaint shophouses or gothic style churches but other unique, lesser-known spots throughout the country. So, the next time that someone laments about the lack of things to do here, these secret places are a great way to pique their interest and keep them entertained. Whereas if you are new to Singapore and looking to discover another side to it, exploring these places will be the perfect opportunity to do so. Whether it is idyllic, scenic nature spots or massive coastal guns with historical significance, there is a wide variety of attractions available to cater to specific preferences. And the best part of it is that some of them are free-of-charge, thus allowing you to freely wander around these areas without worrying about cost. Also, if you are concerned about the possibility of some of these hidden cultural or historical sites from disappearing in the future, don’t be. Many of these sites are under the protection of the National Heritage Board which focuses on the preservation of the various aspects of Singapore’s heritage and customs, including museums, memorials and monuments. Asides from that, there are also many clean and green initiatives undertaken by the National Environment Agency and National Parks Board, thus ensuring the conservation of natural spaces and greenery around the island. Ready to find out more about these hidden yet amazing sights of Singapore? Read on for more information about the 4 hidden gems of Singapore that you should check out. Before you embark on your journey of exploring these special and little-known places, it will be best to do some research beforehand on how to get there. Make sure to do your homework by looking up the directions and available modes of transport online. In addition, another tip would be to wear comfortable shoes as you might have to do a lot of walking in some areas. Besides that, some attractions may also require you to pay an admission fee so if you are a Singaporean or permanent resident, make sure to work that to your advantage by bringing along your identification card to enjoy the discounted rate. Get an up-close look at the massive, 15-inch gun located at Johore Battery while learning more about its involvement in the World War II in 1942. Constructed in 1939, these huge guns were part of the coastal artillery that was used to protect Singapore from sea-based attacks. Said to have possessed the power to penetrate the defences of warships, these guns had long range barrels that were loaded with heavy ammunition. In order to give visitors a better idea of the weight of the ammunition, a replica was built at Johore Battery, with it weighing up to 800 kg. If you love nature and wildlife, why not try visiting Coney Island? Located near Punggol ranch resort and the Punggol settlement, Coney Island consists of various greenery, sandy beaches and animals. As the park is home to 80 kinds of birds, it is a great opportunity for avid bird watchers to observe the birds in their natural habitat, making it a fulfilling experience. In addition, there are various exotic flora and fauna around the island that you can appreciate while walking around. To top it off, Coney Island displays environmental-conscious efforts with several of its facilities like the playground for kids being made out of recycled and repurposed casuarina trees, which can be found growing all over the island. When we think of museums in Singapore, the places that usually come to mind are the national museum of Singapore or Asian Civilizations Museum. However, one museum that is worth checking out would be the Singapore Philatelic Museum. This is especially so if you love collecting stamps or looking at stamps. With an extensive collection of stamps and other philatelic material, the museum is a great way for you to develop a better understanding of the history of postage stamps as well as the origins and purpose of their designs. And the best part about this entire museum experience is that you are able to customise and make your own stamps. All you simply need to do is to select a picture of your liking, store it in a thumb drive and then make use of the existing software available on the premises to create your individualised stamp. However, do note that the Singapore Philatelic Museum is an attraction that requires you to purchase admission tickets, especially if you are a foreigner. Only Singaporeans and permanent residents are able to enjoy free admission for this museum. And no, it doesn’t count even if you have been studying or working in Singapore for some time. This discount is only applicable to people who have permanently settled in Singapore and achieved PR status. Thus, it might be wise to prepare the funds beforehand if you do not fit the criteria for free admission. 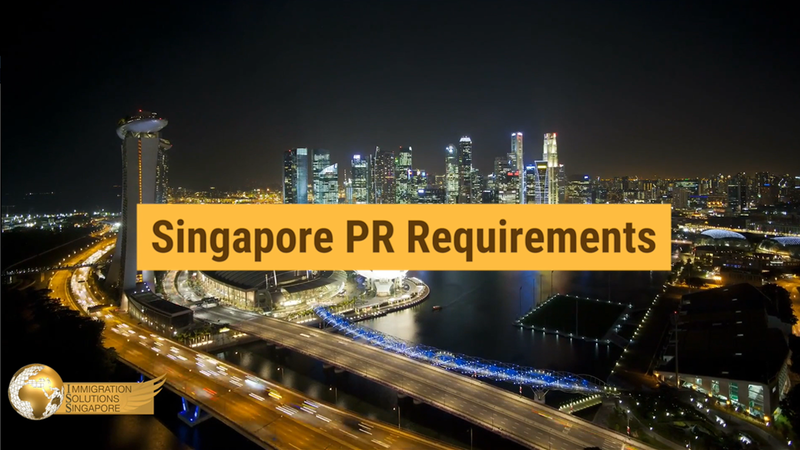 Alternatively, if you fulfill the criteria, why not consider applying to become a Singapore permanent resident? This will open up various opportunities and benefits for you in the long run and we are not just talking about discounted attraction tickets. If you are a fan of street art, drop by the murals section at Everton Park. 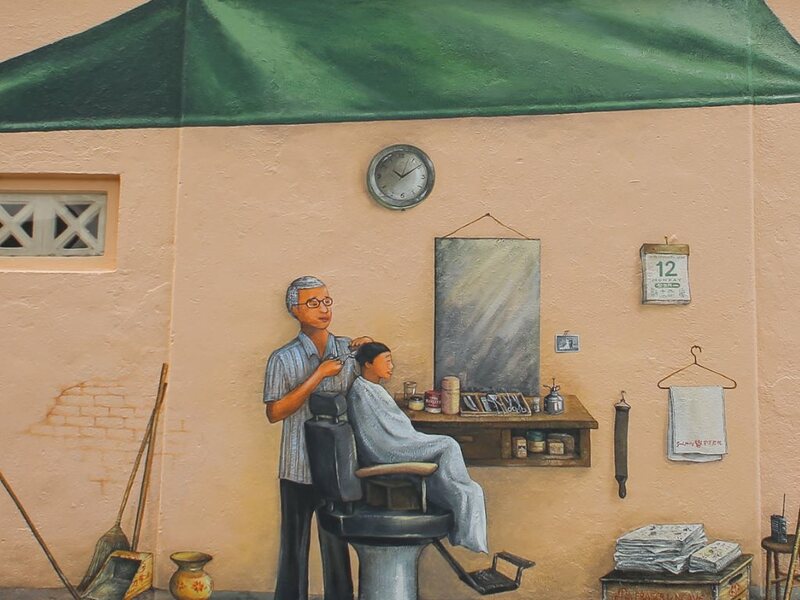 Created by Yip Yew Cheong, the murals depict the simple, everyday life of Singapore back when ‘kampungs’ existed. Vibrant and colourful, these murals will allow you to get a glimpse of Singapore’s past while providing a great background for your social media posts.